Since the political turn events of 1989, a very distinct revival of Jewish culture has been taking place in Poland. Nowadays in the Land on the Vistula there are a number of places in which one find Jewish culture, sometimes preserved from ancient times, sometimes brand-new and focused on the future. A small picturesque town on the Vistula river, overlooked by the ruins of an ancient castle and surrounded by hills. At the turn of the 19th and 20th century nearly half of the inhabitants of this settlement were Jews. Today, just as in the interwar period, Kazimierz Dolny is a popular summer getaway for the inhabitants of Warsaw and Lublin. Being proud of its Jewish roots Kazimierz Dolny annually hosts the Pardes Festival in the summer, which focuses on the multicultural heritage of this town. If you come to this beautiful place you might want to visit the famed restaurant U Fryzjera (At the Hairdresser’s) which serves Jewish specialities. As tricky as this may sound, there is another Kazimierz in Poland, which is the picturesque Jewish historical district of the city of Kraków. This Kazimierz has a very long history and is arguably the most typically Jewish city district in all of Poland. There are 7 synagogues in Kraków’s Kazimierz and numerous Jewish restaurants. This neighbourhood is also where the famous Jewish Culture Festival takes place. In 2013 the event attracted 30 thousand attendees from many countries. The annual final concert of the festival, called Shalom on Szeroka Street, is a massive, seven-hour-long presentation of Jewish music from all over the world. A city in north-east Poland located close to the Belarussian and Lithuanian borders, Białystok is a place in which Poles, Jews and other peoples co-existed harmoniously. In this town one can find historical Jewish buildings such as synagogues, the Trylling Palace or the family house of Ludwik Zamenhof, the creator of the Esperanto language. If you want to get in touch with Jewish culture Białystok is a also a great place to get in touch with Jewish culture because of the Zachor – Color and Sound Jewish Cultural Festival, which is held here annually. This event boasts a diverse program that includes, amongst others, concerts and workshops. This little town located just a half an hour drive away from downtown Białystok used to have a large Jewish community. Thanks to the numerous historical buildings in Tykocin one can get a sense of what a typical pre-War shtetl (a small Polish-Jewish settlement) looked like. There is a very well preserved synagogue, the Grand Synagogue, the interior of which is embellished by truly stunning wall paintings. In the tower of this building one can find expositions presenting a Rabbi’s room and a table set up for Passover Seder, an important Jewish ritual meal. 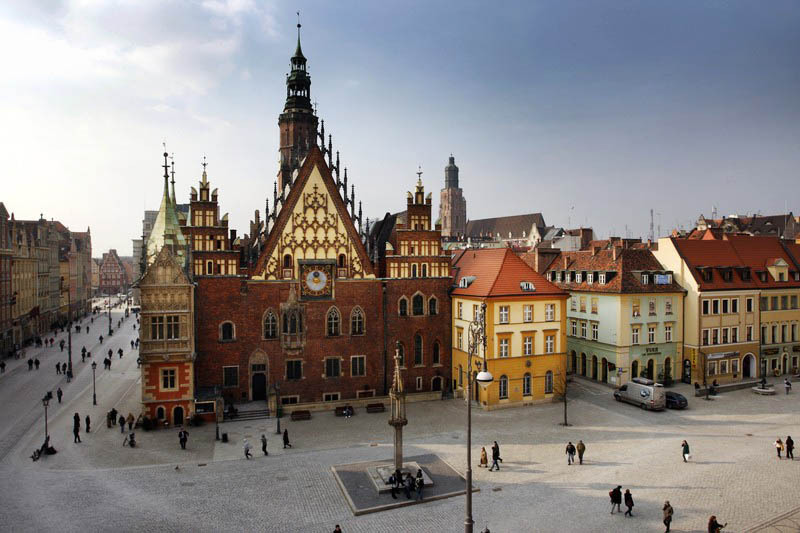 There is an area in the city of Wrocław, where four places of worship, each of a different religious denomination, stand in the vicinity of each other. One of these temples is a synagogue, which together with the neighbouring seat of the Jewish Community of Wrocław, houses the main events of the annual SIMCHA Jewish Culture Festival. This festival takes place in the summertime and features amongst others concerts, screenings and lectures. 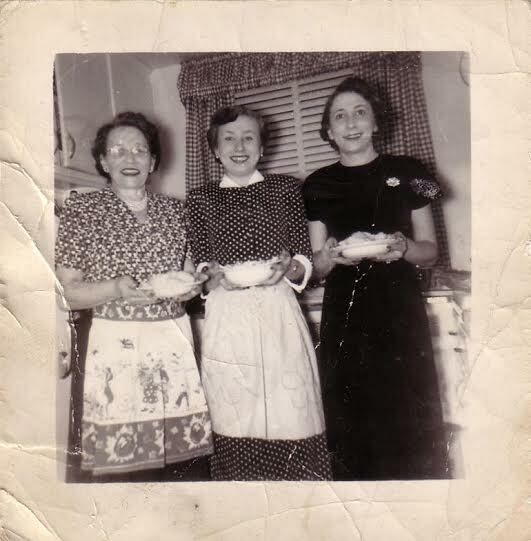 Last year’s attendees were able to, for instance, listen to a lecture on kosher food or go to a Jewish dance workshop. At the turn of the 19th and 20th century Łódź was a vibrant textile manufacturing town in which Poles, Jews, Russians and Germans co-existed peacefully. The multicultural heritage of this city is a point of reference for the annual festival Łódź of Four Cultures, which takes place in the spring. The festival’s program may include, amongst others, concerts, street theatre performances and debates which are linked to the city’s diverse roots. 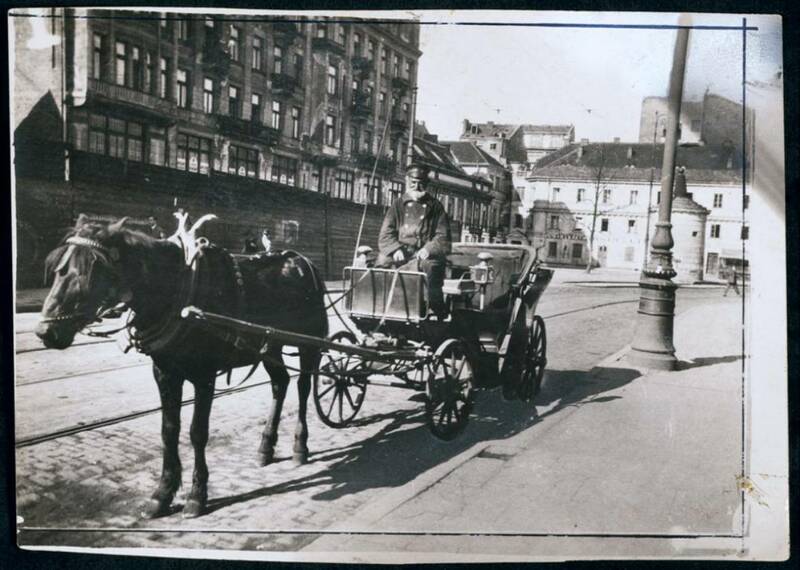 Warsaw's oldest Jewish coachman Mojsze Dawid (a name given to him by his Polish colleagues). Photograph taken by Menachem Kipnis in 1924. Photo: ŻIH/YIVO. A review of Jewish revival in Poland could not be complete without Warsaw. This former hotspot of pre-war Jewish culture has recently undertaken herculean efforts in order to restore a breath of Jewish life into its streets. First and foremost, Grzybowski Square is a must-see. Located in the former Jewish district of Warsaw this square is the arena of the annual Singer Festival. Each year during the summer, for one week, the square bustles with various Jewish-themed events. Last year, those interested in music could have for instance gone to a concert of cantors which took place at the nearby synagogue or attended one of the Jewish-themed concerts that were held at Pardon To Tu, a popular jazz club located in the square. The festival standardly features various lectures, workshops and activities for children. Also the Jewish Theatre, which is located in the square, collaborates with the festival by presenting special spectacles. The beating heart of Jewish life in Warsaw is undoubtedly the Jewish Community Center. The organization is located in the very heart of the capital of Poland, on Chmielna Street. The JCC is a place in which one can encounter as well as co-create Jewish culture in a friendly atmosphere. If you want to participate in a Hanukkah culinary workshop, or maybe enhance your artistic skills under the guidance of a tutor together with a group of folks interested in Jewish-themed art the Center is the right spot for you. On Sundays you can get a Jewish-Polish breakfast here. The menu of this weekly meal includes amongst others bagels, herring and hummus. 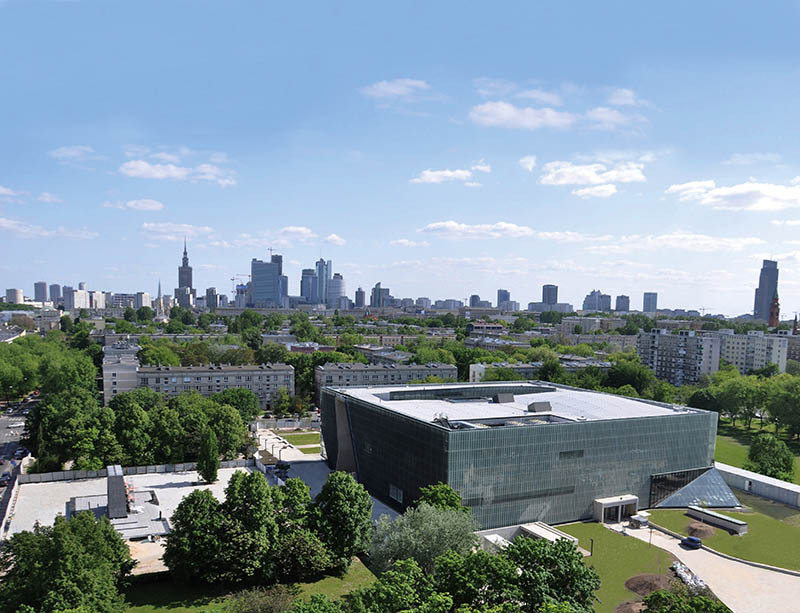 Last and certainly not least, to encounter Jewish culture and history in Poland, one cannot leave out Warsaw’s brand new Museum of the History of Polish Jews POLIN. This ultra-modern museum opened in 2013 and houses an interactive exhibition showing the 1000-year-long history of Jews in Poland. For detailed information about this institution see this article.